Action from the Red Stripe Premier League game between Cavalier and Arnett Gardens at the Stadium East field on Sunday, September 23, 2018. Cavalier, in white top, won the game 2-1. (PHOTOS: Marlon Reid). 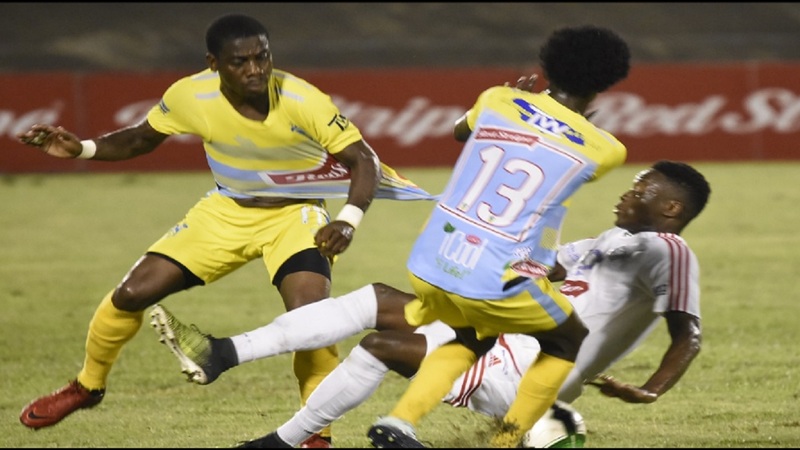 Promoted Mount Pleasant FA have now emerged as a serious contender in the 2018-2019 season of the Red Stripe Premier League (RSPL) after taking down another big team on Match Day 2 on Sunday. 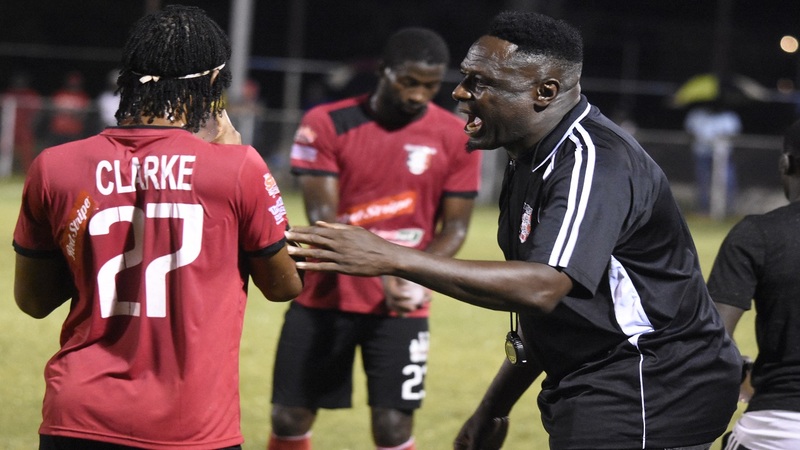 After opening the season with a 2-1 victory over defending champions Portmore United at at Spanish Town Prison Oval last Sunday, St Ann-based Mount Pleasant FA defeated Waterhouse 1-0 on Sunday, the team that Portmore United beat in the final last season. The game was played at Drax Hall in St Ann. The result means that Mount Pleasant FA have beaten the teams that finished first and second in the Premiership last season. Sunday's game gained a lot of attention as it was the first time that coach Donovan Duckie went face-to-face with Waterhouse, which he left to take the reins at the cash-rich Mount Pleasant. The much-travelled Duckie took charge of Waterhouse in the middle of last season with the club struggling in the bottom half of the standing and guided them to the final. However, he switched to Mount Pleasant during the break. And it was a former Waterhouse player who handed Mount Pleasant the victory as Kemar Beckford scored in the 23rd minute. 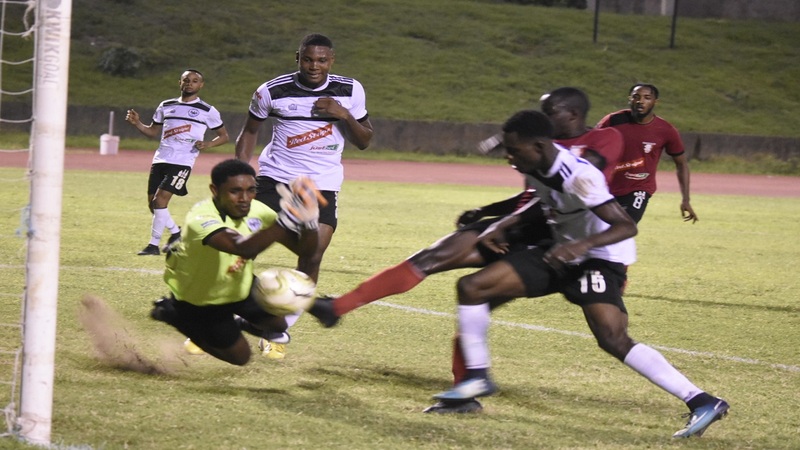 Cavalier and Tivoli Gardens also secured two straight victories. 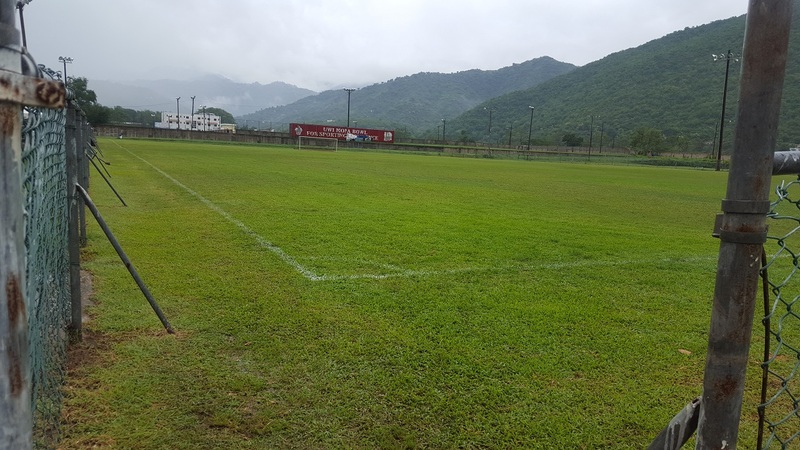 Tivoli Gardens stopped Reno 2-1 at the Harbour View Mini Stadium, the identical score that Cavalier had over former champions Arnett Gardens at the Stadium East field. Nicholas Hamilton led Cavalier to the victory with two late strikes, his goals coming on the stroke of full time and two minutes into time added on. Arnett Gardens had taken a 69th minute lead through Fabian Reid. 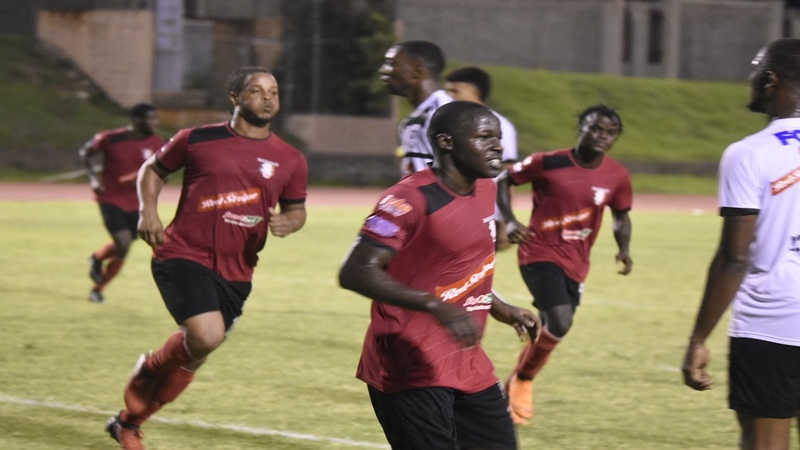 An own goal from Deshawnie Campbell in the 31st minute provided the start for Tivoli Gardens and Calarado Murray got the other goal in the 63rd minute. Reno pulled back a goal through Kemoy Carruthers in the 78th minute. Tivoli had the better of play for most of the first stanza and opened the scoring when Marvin Stewart’s shot on the left of the 18-yard box took a deflection off Campbell and ended in the back of the net. Tivoli once again controlled the action at the beginning of the second half with Reno wilting under the pressure as they went further behind after Murray scored from a short corner that was crossed inside the penalty area to him. With Reno coaching staff making some substitution it brought life to their play and they had their best period towards the end of the match that bore fruits when Carruthers cut the deficit with a beautiful overhead kick. In the day’s other matches, Orlando McBayne’s 48th-minute penalty led Montego Bay United to a 1-0 victory over promoted Dunbeholden at Spanish Town Prison Oval and Patrick Brown’s ninth-minute strike gave University of the West Indies (UWI) FC an away 1-0 victory over Humble Lion at Effortville Community Centre. Match Day 2 ends with the Monday night fixture between Harbour View and Portmore United at the Harbour View Stadium.